To use the float phone dry bag, lift the levers from the outside, separate top seal and pull the levers through. 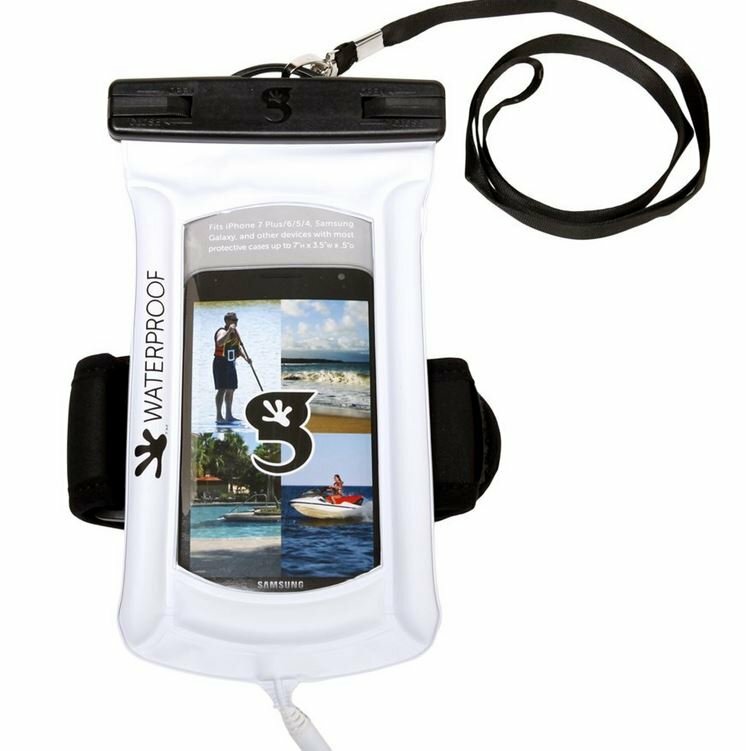 Slide your device into the dry bag. To close, push out excess air, insert the levers through the middle channels on the front section and secure by pushing them into the full closed position. The success of the dry bag depends on the proper use of the seal brackets and protection from sharp objects. Inspect the bag before each use to look for punctures, tears and holes. We recommend testing the dry bag prior to using. Dry area inside the seal prior to removal of device. Geckobrands is not responsible for damage caused to the contents of the bag.